Checklists have become increasingly advocated to improve patient safety in health care. While they may provide an unambiguous means of monitoring one’s completion of various tasks, excess preoccupation with a checklist may take focus away from recognizing the complexities of the patient, the unique and sometimes complicated disease process, and the health-care team dynamics. In this chapter, we discuss alternatives to the checklist by highlighting concepts and strategies that often incorporate checklists, but ultimately aim to provide a more comprehensive strategy to improving patient safety. 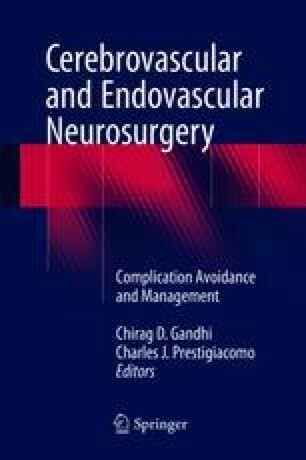 We discuss the advanced safety culture, the crew resource management, the Lean philosophy, and the “pit-crew model.” Implementation of these processes in neuroendovascular surgery may provide a more engaged, sustainable, and continuously adaptable patient safety solution above and beyond what checklists provide. Health care at the crossroads. Strategies for improving the medical liability system and preventing patient injury. The Joint Commission. 2005. (White paper). http://www.jointcommission.org/assets/1/18/Medical_Liability.pdf.